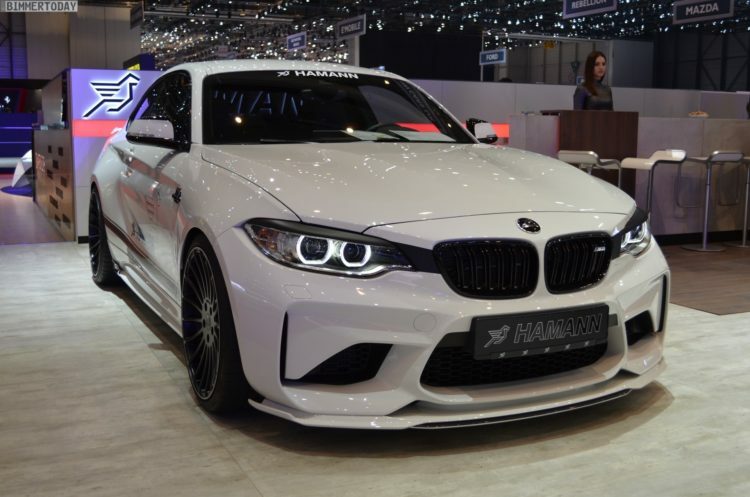 A few weeks after its debut in Zurich, the BMW M2 refined by Hamann Motorsport was of course also introduced at the 2017 Geneva Motor Show. The compact sportsman carries numerous tuning components that emphasize its already impressive width and make it even more powerful. 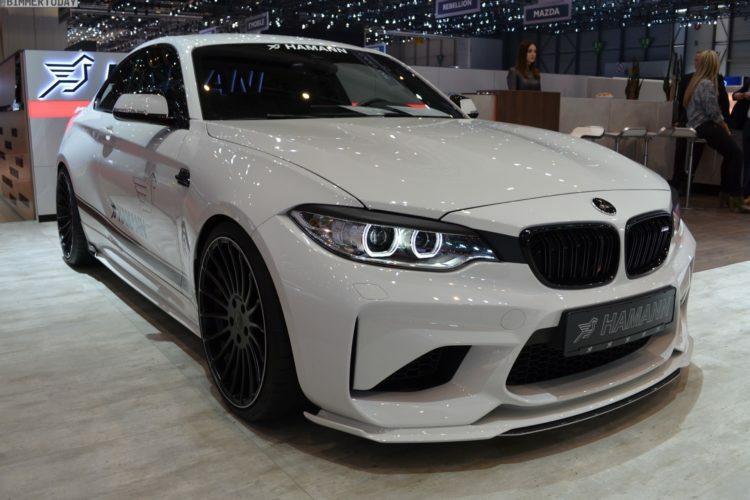 A further aero lip for the front apron, an attachment for the rear apron, side skirts in the same style and a rear spoiler as an attachment for the trunk flap give the coupe an even more motorsport flair. In addition, the black washers, the dark taillights and the black wheels – on one side of the vehicle – also contribute to the sharpened tuning look. If you prefer to wear some more colorful shoes, you will find the solution from Zurich in glossy turquoise. 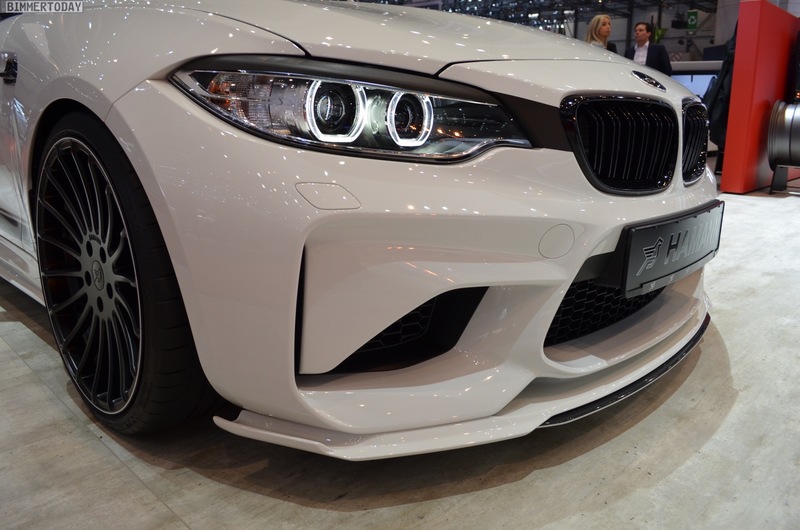 At the front, black kidneys and a glued-on optical connection between headlights and kidneys are used to make the BMW M2 look even wider. The headlights on the upper edge reinforce this impression and give the M2 even more overtaking. 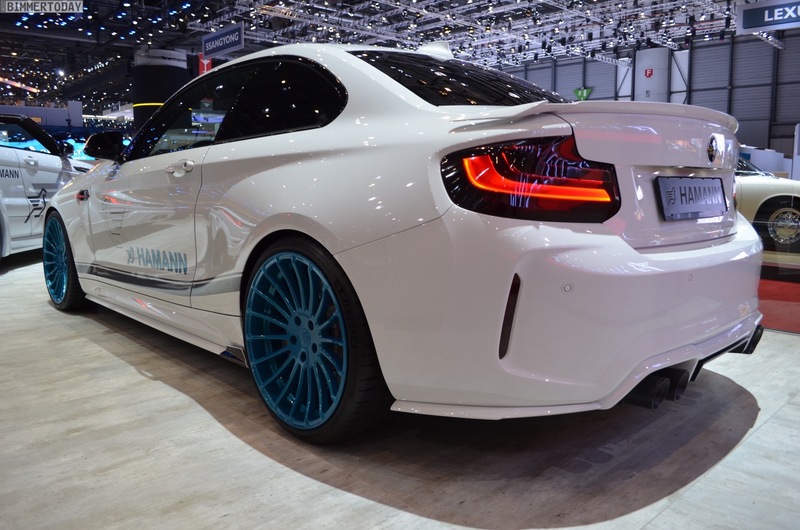 A performance map optimization for the in-line six-cylinder N55 is offered, matching the tuning optics of the Hamann-M2. Instead of the standard 370 ponies, 420 hp will arrive at the rear wheels, the torque maximum increases by 65 to 530 newton meters. Thanks to the increase in performance, the time for the standard sprint should be shortened to about 4.2 seconds, independent of the transmission. The corresponding sound is provided by a stainless steel sports exhaust system, whose four tailpipes sort perfectly around the Hamann diffuser. The optics of the tailpipes allow customers to choose between classic anodized versions in silver or black as well as a variant with carbon screens.